Francys Day, DDS, is a board-certified general and cosmetic dentist, as well as the proud owner of Austin Smiles by Day in Austin, Texas. She has been crafting stunning smiles for patients all over the country for more than 25 years. Born and raised in Victoria, Dr. Day is a Texas native, passionate about treating patients in her home state. Dr. Day earned her undergraduate degree at The University of Texas in 1980 before enrolling in The University of Texas Dental Branch in Houston. 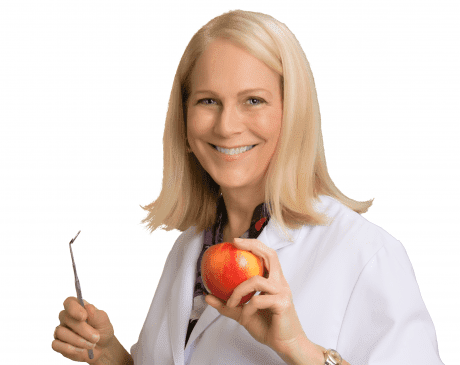 Upon graduation in 1984, Dr. Day went on to become a general dentist, practicing in New York before returning to Texas to be closer to her family. Today, Dr. Day is dedicated to serving patients in the Austin community. She practices comprehensive general and cosmetic dentistry, with expertise ranging from routine teeth cleanings and porcelain veneers to dental implants, crowns, and bridges. Offering a wealth of experience, Dr. Day can virtually redesign her patients’ smiles. In addition to providing the highest quality care possible, Dr. Day makes it a point to build long-lasting, meaningful relationships with each one of her patients. With Dr. Day, patients have a friend in their corner who wants to keep their teeth healthy for a lifetime. When she’s not treating dental patients, Dr. Day enjoys playing the piano, bike riding, walking, swimming, and spending time with her three grown children.